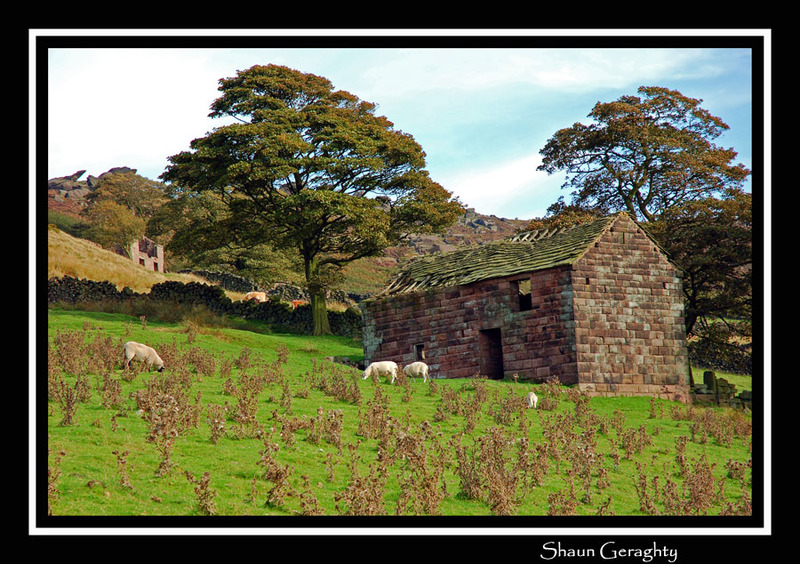 One of the many derelict old barns clinging to the side of the Roaches, a high rocky outcrop in the Staffordshire Moorlands. Lovely shot again! Love the composition and the sheep add a nice touch of interest and perspective. Maybe it's my monitor but I think the green is just a tad too oversaturated to me... but hey, maybe in that part of the world the grass really is THAT colour! Looking carefully, I think I see another barn further up the hill? Cool!